Attack: Fire This unit makes a Fire attack at its Range. This is a basic attack. 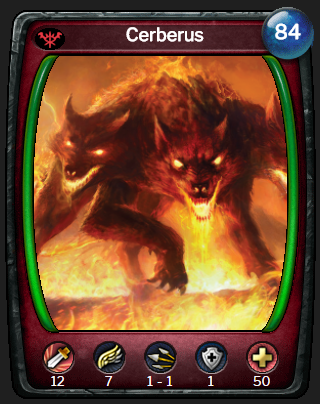 Flame Curse Units that become Charred also becomes Cursed for 2 turns. 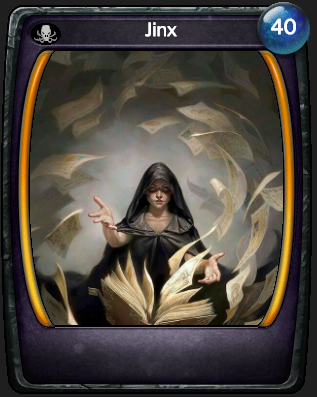 Devotee of De'lim When a real Plant or Treefolk unit is destroyed, this unit gains 3 MAX HP and is healed for 6 HP. Flameburst This champion makes an attack at RNG 1-3 for 10 Fire damage. If successfully damaged, the target is knockbacked 3 spaces, then the target and enemy champions within 2 spaces of the final destination become Charred for 3 turns. Attack: Acid This unit makes an Acid attack at its Range. This is a basic attack. Jade Shield This unit has bonus DEF equal to it's current HP divided by 10. This champion cannot be targeted by spells. Mountaineer This champion ignores movement restrictions and movement penalties imposed by terrain elevation and ignores terrain restrictions while moving. 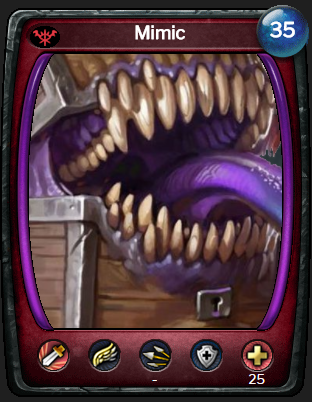 Twisted Essence When this champion successfully damages a champion with a basic attack, that unit becomes Twisted for 3 turns. Attack: Magical This unit makes a Magical attack at its Range. This is a basic attack. Desecrate Earth Area Effect 2, Range 5: Affected spaces becomes Desecrated Ground until the end of your next turn. (Desecrated Ground - At beginning of your turns and upon casting Non-Undead Champions in this area lose 6 HP). Kill Sense Kill Sense -Enemy champions within 5 spaces with 50% or less HP are Slowed. This champion gains +1 SPD and +2 DMG for every enemy champion within 5 spaces with 4 SPD or less. 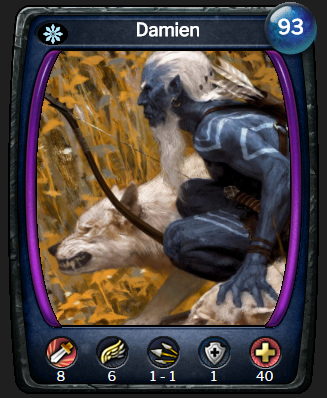 Pack Leader The first time this champion makes a basic attack against a champion each turn, other champions with Pack Mentality within melee range of the target make a free Physical attack against the same target. Dogpile When this unit makes a successful basic attack against an enemy champion, the target becomes Dogpiled for 4 turns. Lay Hands Target champion within 2 spaces (including this champion) heals HP equal to its max HP. 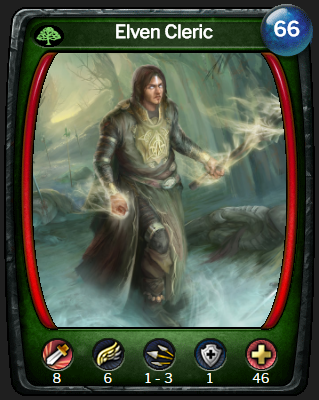 Abash When this champion is attacked, the attacking champion becomes Charmed for 3 turns. Cleansing Aura Friendly champions within 3 spaces (including this one) are Cleansed at the start of your turns. Hydrate Friendly champions within 2 spaces gain 2 AP and the spaces they are standing in turn to Water for 3 turns. 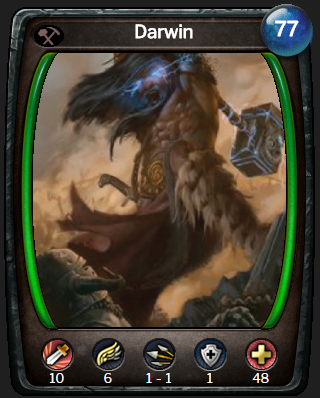 Pride of Ailur When this champion is within 5 spaces of a friendly champion with Soul of Ailur, it gains +4 DMG. This does not stack. Shrine Defender While this unit is within your shrine deployment zone, this unit gets +2 DMG and +2 SPD and your Shrine has +8 HP. When your Shrine is Transfigured, this unit has Impassioned. 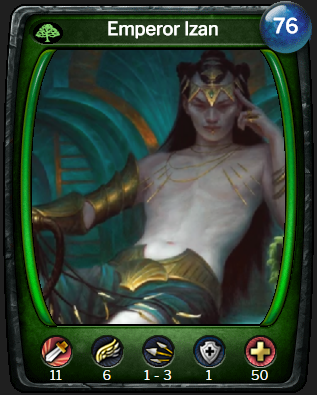 Elsari Coven Whenever an opposing champion is deployed into or enters a friendly Dead Magic Zone, it becomes Cursed for 2 turns plus 1 additional turn for each friendly Witch. 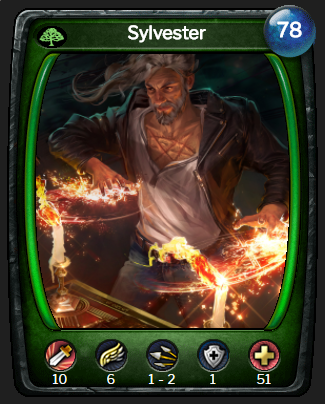 Cast: Ritual of Ashes For 6 turns, the next time target friendly champion takes damage, opposing non-Avatar champions within 5 spaces become Cursed for 5 turns and take 50% of the damage as Magic damage. If the target was already Cursed, then this will deal an additional 5 damage. This effect does not stack and is hidden until triggered. Curse 1 This unit makes a 5 dmg attack at range 1-5. If successful, the target becomes Cursed for 2 turns. If the target was already Cursed, then this attack deals an additional 5 damage. Curse 2 This unit makes an 8 dmg attack at range 1-5. If successful, the target becomes Cursed for 4 turns. If the target was already Cursed, then this attack deals an additional 5 damage. Dragonflight This unit has Flying. 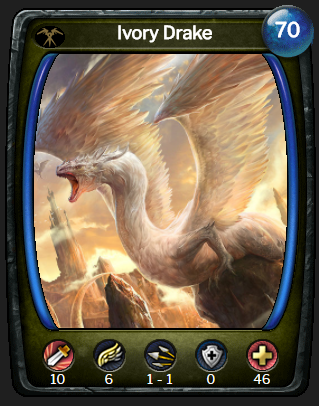 The next Dragon you deploy from the runedock gains 2 AP. When this effect triggers, this champion gains Hunter: Walker for 4 turns. 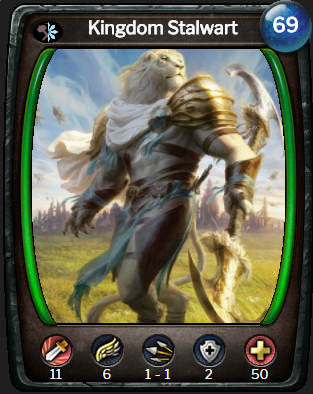 Mirrored When this champion would take non-Physical damage from an attack, that damage is reduced by 50% (rounded down), and the attacking champion takes an equal amount of damage of the same type. Dispelling Blows When this champion successfully attacks a champion with a basic attack, the target is Dispelled. 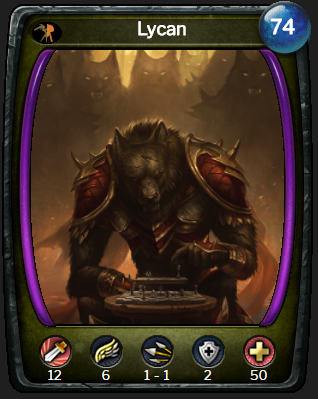 Illuminate When this champion successfully damages a unit with a basic attack, that unit is Illuminated for 4 turns. Cleanse Target champion within 5 spaces is Cleansed and then is healed for 5 HP. May target self. 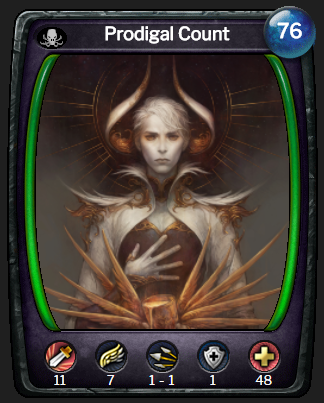 Prodigal Blood When this unit is destroyed, Instead of dropping a nora globe it drops a blood ball equal to half this unit's nora cost. 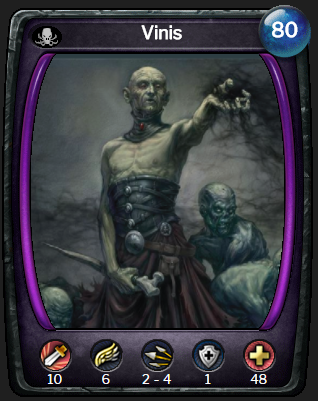 Bleed When this unit damages a champion with a basic attack, the target is Bloodied for 6 turns and a blood ball is created in an adjacent space. Demons and Vampyres that capture the blood ball vampiric heal an amount equal to 50% of the damage that caused the blood orb. Other champions that capture it take that same amount in disease damage. Only one blood ball per enemy can be active at a time. Heart Strike When this champion makes a successful basic attack against a champion with 50% or less HP, it gains 1 AP and has +2 DMG for the attack. Blood Magic Enemy champions within 3 spaces lose 8 HP and are Bloodied for 8 turns. 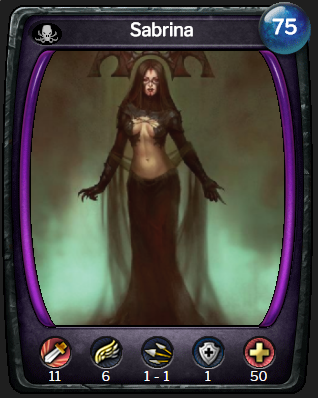 If an affected champion is already Bloodied, this champion vampiric heals 8 HP. 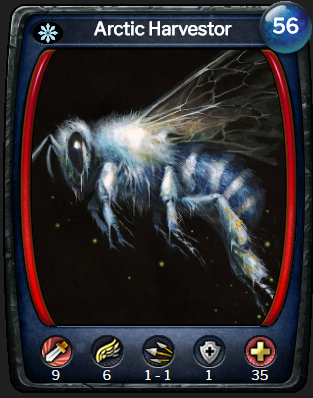 Still Life At the beginning of your opponent's turns, if this champion did not move during your last turn, it becomes for 5 turns. Ambush While , if an opposing champion moves adjacent to this champion, this champion makes a free attack against that opponent that ignores DEF if it is greater than 0 and causes Ensnared 2. Soulstrike Whenever this champion successfully hits an opponent with a basic attack, target champion loses life equal to 25% of its max HP. This ability ignores immunities. 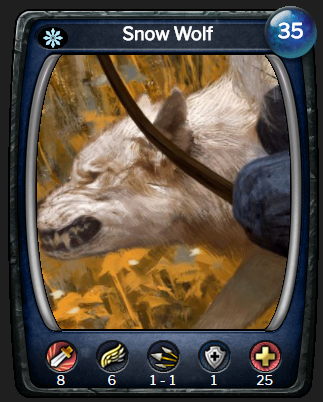 Snow Pack When this champion is deployed from the runedock, 2 Snow Wolves champions with no upgrades are summoned adjacent to it. Surge: Beast This unit has +1 DMG for every friendly Beast. Arrowshot This unit makes an attack at Range 3-6. 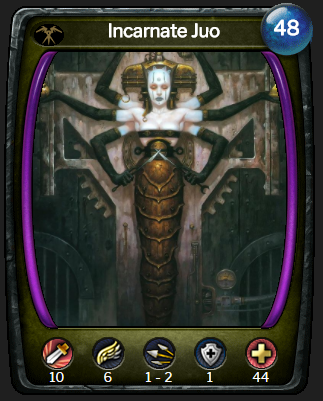 The next time your opponent uses a copy of the same card more than once, gain nora equal to the cost of that card. Animate This champion loses Immobile gains Attack: Physical for 3 turns. This ability costs 10 nora. Nora Incarnate Any champion damaged by this champion's basic attack becomes Charred for 3 turns, Chilled 3, Poisoned for 3 turns, Shocked for 3 turns and Scoured 3. Darwinism Whenever a friendly champion comes into play(including this one) it gains an additional rank of Berserker. 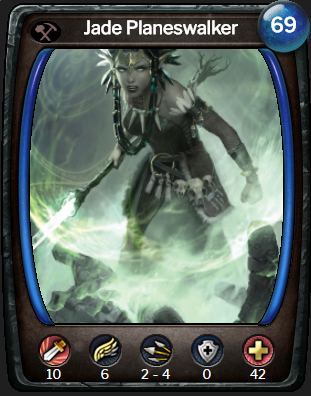 Pariah This champion cannot be the target of friendly spells and abilities from other friendly units. 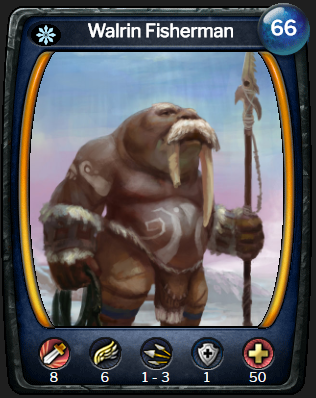 Warlord When a friendly champion within 5 spaces that shares a race or class with this one makes a successful basic attack, this champion gains +1 MAX RNG and +2 DMG for 1 turn. This ability can trigger up to 3 times per turn. Battlefiend When this unit's DMG modifier is greater than 5, it gets +2 SPD, Fury, Multiattack 1 and Berserker 3. Attack: Whip This unit makes a Physical attack at its Range. This is a basic attack. Beast Call When this unit is deployed, reveal all beasts in your rune dock. Drive Target champion within 5 spaces loses 2 HP (HP loss cannot be prevented) and gains Driven (This champion gets +2 DMG and +1 SPD) and recovers 1 AP. This ability can not be used on a champion who already has this effect. Dragging Attack When this champion successfully damages a small champion with a basic attack, that champion is relocated one space toward this unit. Lay Trap: Frost 1 Lay a Frost Trap on target adjacent space. For 8 turns, the next time an enemy champion enters that space, it takes 2 Frost Damage and becomes Slowed for 2 turns. Lay Trap: Frost 2 Lay a Frost Trap on target adjacent space. For 8 turns, the next time an enemy champion enters that space, it takes 4 Frost Damage and becomes Slowed for 3 turns. Fire Eater This champion moves unimpeded over Lava. When this champion would take Fire damage, it instead heals HP equal to half the damage that would have been dealt. This champion may not become Charred. Thrash This champion loses HP equal to its current damage. All enemy champions within 5 spaces become Frightened for 2 turns. Ferocious Bite When this champion makes a successful basic attack, that champion has -5 DMG for 2 turns. This does not stack. If the target is Distracted or Illuminated, that champion also gains 2 stacks of Sundered for 3 turns. Trail: Fire Wall At the beginning of each turn and whenever this champion moves, the spaces this unit occupies becomes a Fire Wall (Whenever an enemy champion enters this space, it takes 5 Fire damage and becomes Charred 4) for 3 turns. Alakhami and nepyonisdead like this. Attack: Frost This unit makes a Frost attack at its Range. This is a basic attack. Arctic Flight This unit has Arctic, Sentry. Poison Sting This champion makes a Poison attack at Range 2-5. If the target is successfully damaged, it becomesPoisoned for 3 turns. Harvest Friendly Plant champions lose 1 AP and 2 HP each. You gain 3 nora for each Plant effected.